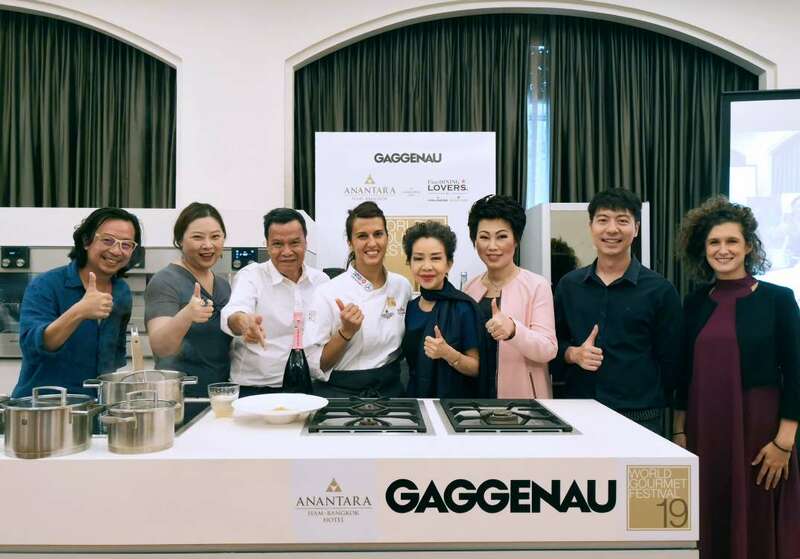 Anantara Siam Bangkok Hotel invites foodies and budding and professional chefs alike to attend the exclusive chef talks and master cooking classes from the full roster of chefs starring in the 19th World Gourmet Festival. This series of unique and dynamic masterclasses are a first for the annual international culinary event and include all thirteen chefs’ explanations, experiments and tastings. 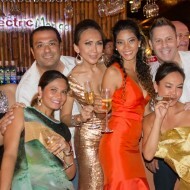 Guests will sample specially prepared dishes from the Michelin star chefs’ World Gourmet Festival menu repertoire. Since its inception, the World Gourmet Festival has grown in prominence to feature an extraordinary line up of some of the best chefs, winemakers and food experts from across the globe. Joining the international roster of acclaimed chefs this year are award-winning chocolatier Paul A Young, Sake sommelier Seju Yang and celebrity chef Bobby Chinn. Masterclasses including a tasting menu with wines will be hosted on Monday 3 September – Friday 7 September from 10:30 am – 12 noon (and/or) 12 noon – 1:30 pm at Montathip 1. A few notable masterclasses include the Thursday 6 September presentation of six dishes by the two visiting Japanese chefs alongside Japanese born Chef Ryohei Hieda. 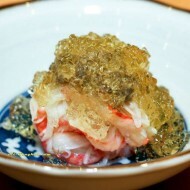 Each dish will be paired with carefully chosen sake selections by sommelier Seju Yang. On Tuesday 4 September and Wednesday 5 September Master Chocolatier Paul A Young will present two chocolate masterclasses. 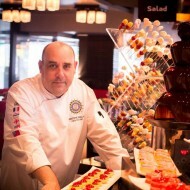 Guest will sample his award-winning chocolates, followed by a chocolate inspired Afternoon Tea. 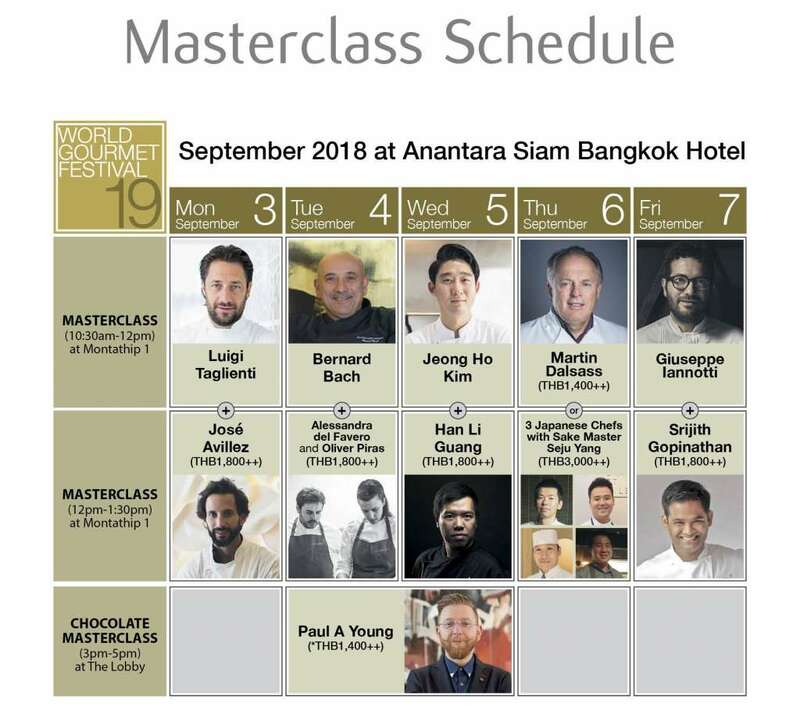 Anantara Siam is excited to offer guests this exclusive masterclass experience to further enrich the 19th annual World Gourmet Festival’s weeklong culinary and wine celebrations. 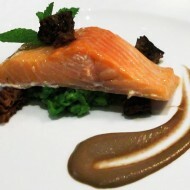 Masterclass prices include the tasting menu with wines. 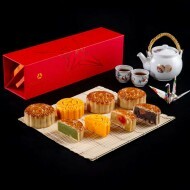 The Chocolate Masterclass price includes Afternoon Tea. Prices are per person in Thai Baht and are subject to 10% service charge and 7% VAT.